In any field, you’ll find a large discrepancy between the most talented and competent individuals and the least talented and competent individuals. In the world of personal training, there is no exception. The best and most effective trainers exhibit markedly different characteristics compared to the least effective trainers. Listed below are the ten worst types of personal trainers. 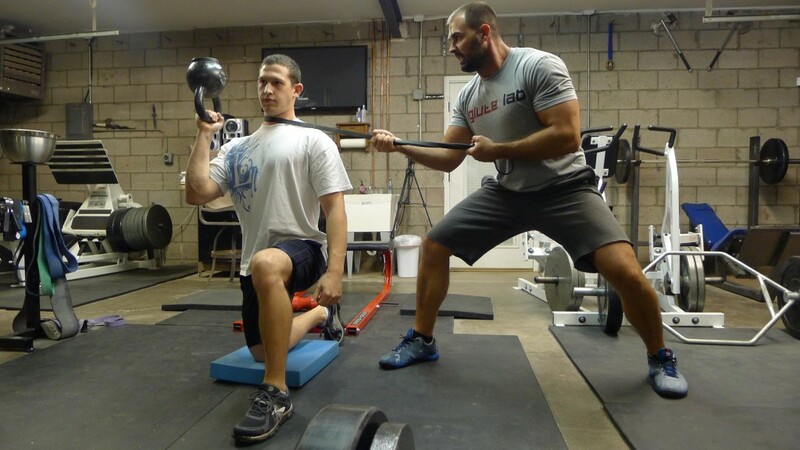 The progressive overload at any expense trainer might start off on the right path, teaching clients proper form with basic compound movements such as squatting, hip hinging, lunging, bridging, pressing, and pulling. But their expectations are unrealistic and their knowledge of sound technical form is lacking. Clients are expected to bump the weight up 5-10 lbs every single week, regardless of gender, age, or training experience. This is manageable for a while, but it soon backfires on the client. After several months of training, you’ll see this trainer’s clients knee caving during squats, roundbacking their deadlifts, bouncing the bar off the chest during bench press, cheating, relying excessively on momentum, and eventually getting injured, all in the name of moving greater loads. These poor examples of form are usually accompanied by shouting and cheering from the overzealous trainer. Good trainers know that progress is NEVER linear, and that over the course of a year, strength gains zig-zag. Some weeks lifters see huge gains, other weeks they don’t set any PR’s, and some weeks their strength diminishes (or it’s masked by excessive fatigue). Of course there is some wiggle room for some sloppier sets and repetitions, especially when learning a new exercises or using heavier loading than normal, but not too much as this is a slippery slope. Form and range of motion shouldn’t be allowed to markedly degrade just for the sake of a PR. What then does the client do the following week – degrade even more? This is recipe for disaster. Who cares if you rounded bro – you PR’d! In the no regressions trainer’s world, everyone starts out with a barbell, even if they’re not ready for it. You’ll typically witness this trainer’s clients squatting 95 to 135 lbs (depending on whether the client is female or male) during their very first session, using crummy form and only going down a quarter of the way. Trainers are supposed to be aware of the simplest regressions, which enables them to properly load clients while still allowing for sound form. Bodyweight squats can be done to a high box, push-ups can be done from the knees or the torso can be elevated, deadlifts can be performed with kettlebells or dumbbells or with partial range of motion, it’s perfectly fine to program lat pulldowns before attempting chin ups, and dumbbells can be used for upper body pressing. Over time, the majority of lifters graduate to a barbell, but the barbell isn’t suitable for every new client. Full range bodyweight ground based exercises must be mastered prior to the introduction of load. Once full ROM is achieved, a dumbbell in the goblet position is used, and then a barbell is brought into the mix. 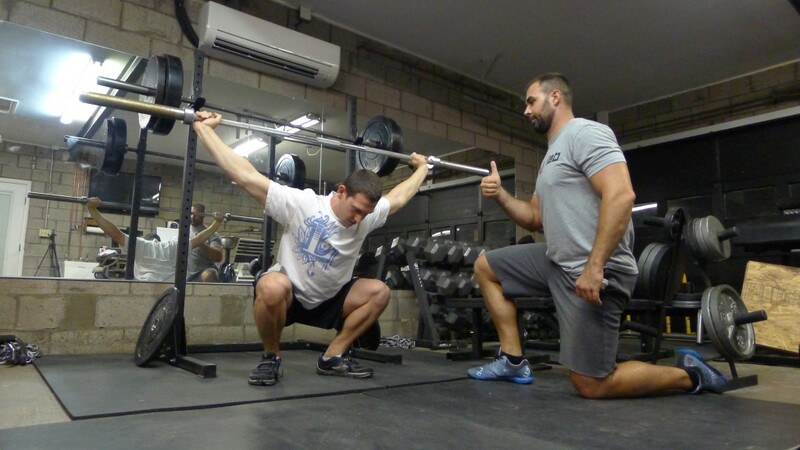 We definitely don’t need to reduce the weight – you’re hitting parallel like a boss! The overly functional trainer has good intentions but fails to deliver maximum results. This type of trainer typically has several different “movement” certifications and trains every single client the same way. The clients’ goals are ignored, and the trainer’s perception of “functional training” is based on made up logic that is full of bias. In the end, great exercises are avoided, and the clients don’t always see great results based on their goals. For example, let’s consider a typical female client who comes to a trainer seeking a better physique and better glute development. The overly functional trainer might prescribe only standing exercises and avoid any bridging/thrusting movements. Consider the typical male client who is seeking better pectoral development. The overly functional trainer might avoid bench pressing and stick solely to overhead pressing. Sure, the client will see good increases in fitness and strength, but better results could have been realized if the trainer prescribed non-standing movements such as the two supine movements mentioned (hip thrusts and bench press). 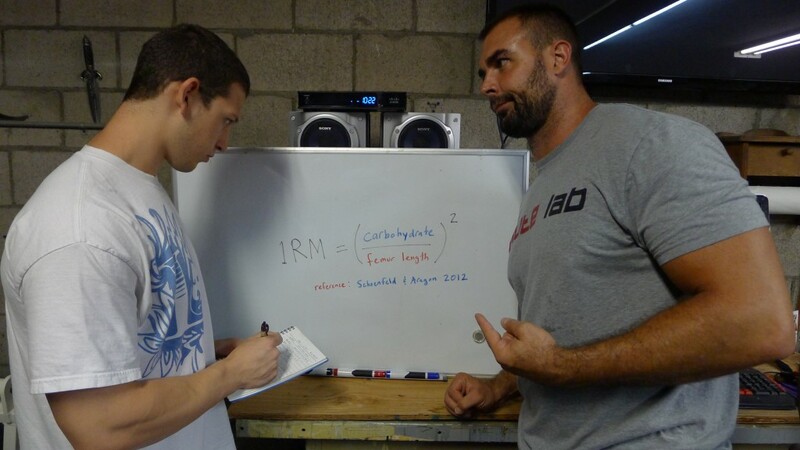 What’s more, overly functional trainers will typically be inconsistent with their logic. They’ll tell you that certain non-standing exercises are functional, such as Nordic ham curls, inverted rows, side planks, or push-ups, but then they’ll ridicule other non-standing movements such as hip thrusts and bench press. They often assume that performing a movement in the kneeling or half-kneeling position, with band perturbations, or on an unstable surface automatically makes it more functional, and they typically confuse “newer” with “better.” Good trainers don’t have silly made up rules and their programs are based on helping their clients reach their goals in the safest and most efficient manner possible. You don’t ever need to bench press chief. With this functional movement, we’re building real life, usable pressing strength. Let’s face it – it’s very easy to sit a client onto a machine and have them pump away. A trainer doesn’t need an extensive knowledge of biomechanics or exercise form when prescribing solely machine based movements. Therefore, you’ll see them having their clients perform solely machine bench press, machine military press, machine pulldowns, machine rows, machine leg press, machine leg extensions, and machine leg curls. You won’t see any free weight, bodyweight, or resistance band movements being employed, which is why these trainers’ clients don’t typically see great results. Machines definitely have their place in a proper training program depending on the goals of the client. I myself love me some Cybex leg presses, Hammer strength rows, and various other machines. However, there’s a reason why bodybuilders, powerlifters, Olympic lifters, and strongmen alike consistently preach the merits of basic barbell training – it works! Good trainers utilize all forms of resistance in their programs, which allows them to maximize their clients’ results. Just add in some machine bench press, leg extensions, and leg curls, and you got yourself a perfect full body workout! You will never, ever hear the pseudoscientific trainer say, “I don’t know.” These types of trainers feel compelled to pretend that they know the answer to every question, and they typically make up their own “science” on the fly. There is so much we don’t know about strength training, biomechanics, and exercise physiology. No trainer in the world knows it all. Beware of the trainers who pretend like they’re experts on all things in strength & conditioning. Good trainers are aware of the limitations and gaps in their knowledge, but they’re not afraid to hit the books and research in order to improve their understanding of a particular topic. Of course I can answer that question – it’s quite simple! The puke or die trainer believes that a client doesn’t have a good training session unless he or she pukes or faints during the workout. This type of trainer typically seeks to make the client as sore as possible as well. Puking is unnecessary, fainting is unnecessary, and crippling soreness is overrated. It is true that training is hard – there’s no denying that. But it doesn’t have to be overly grueling. Deloading every month or two is well-advised, some sessions can focus on technique and steer clear of high ratings of perceived exertion, and not every workout needs to involve maxing out or taking sets to failure. Good trainers know that what matters most is good form and consistent strength gains, and that gaining strength over the long run requires healthy joints, adequate energy and recovery, and a positive attitude about the training program. 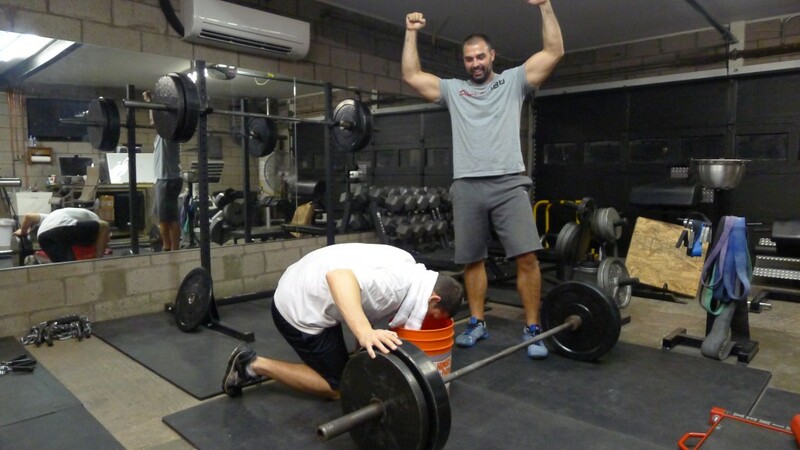 No pain no gain – puking is weakness leaving the body! Think about the first time you learned something new. You were probably overzealous about it and wanted all of your friends and family to jump aboard and learn it too. This is a natural tendency. In the strength training communities, you’ll see this phenomenon all of the time. 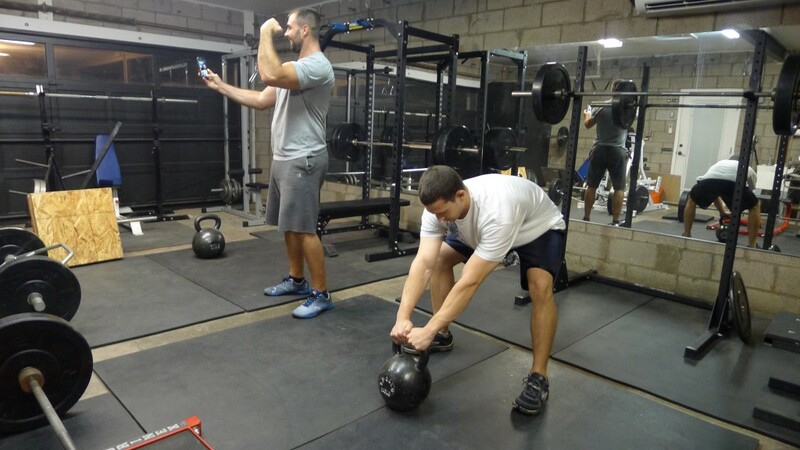 Powerlifters, Olympic lifters, CrossFitters, Kettlebellers, Yoga practitioners, and Pilate’s practitioners alike will commonly tell you that their form of training is superior across the board, no matter what the goal. One would think that anyone with a brain could foresee that Yoga probably isn’t the best form of training for maximizing conditioning, considering that it’s performed in place at slow tempos. You would think that Bodybuilders would be consulted or that their training methods would be considered if maximizing hypertrophy was the goal. However, this is not always the case, and Yoga zealots will often tell you that Yoga will get you leaner than anything, and Powerlifting zealots will often tell you that all you ever need is the big three lifts – squat, bench, and deadlifts (and that any other lift is silly and not needed). While this way of thinking is predictable and expected with general lifters, it’s not acceptable for personal trainers. Good trainers value all forms of training and choose the best tools for the job at hand. They borrow methods from every field (including those mentioned in this paragraph) and blend them together for optimal results. Don’t worry brah, I have every single client I train do this exercise. The insanely insecure trainer bashes everyone and everything and is threatened by unfamiliarity. A new exercise? It has to be foolish. A new form of training is gaining popularity? It’s got to be absurd. A foreign way of periodizing training sessions? There’s no way it could possibly be effective. A fellow trainer achieving notoriety? This trainer must go down. Good trainers aren’t threatened by trends and they’ll experiment (first on themselves and then with clients) with an exercise or form of training before they form their opinions. What in the hell are you doing moron – hip thrusts can’t possibly lead to any improvements whatsoever! Just squat. It’s natural to overestimate our knowledge and talents. Therefore, trainers must keep themselves in check by questioning their beliefs and continuing their education. There is one area where trainers must be very cautious, and this area surrounds the diagnosing of pain or injury. Though some trainers possess a thorough understanding of physical therapy concepts and biomechanics pertaining to injury, pain has it’s own science. In particular, it’s important to understand the biopsychosocial model as it pertains to pain. Many trainers only know of the biomechanical-postural-structural model, so they attribute all incidents of pain to things like leg length discrepancies, weak cores, certain muscles not firing properly such as glutes, transversus abdominis, multifidus, lower trapezius, serratus anterior, or vastus medialis obliquus, tight muscles such as psoas, rectus femoris, hamstrings, gastrosoleus, or pec minor, poor posture, spines needing adjustments, and poor breathing patterns. If all one has is a hammer, everything looks like a nail. Usually, misdiagnosing trainers don’t understand the complexities of pain or biomechanics and they end up diagnosing every client with breathing dysfunction or whatever other popular dysfunctional pattern they learned about in their recent weekend course. Trainers should leave the diagnosing to the sports doctors and physical therapists and should stick to their expertise, which should be writing well-rounded programs, teaching excellent technical form, prescribing appropriate graded exercise that is adapted to the individual, motivating clients and holding them accountable, educating the clients and pointing them in the right direction for further study, and referring them to experts when necessary. Misdiagnosing can lead to nocebo effects which can do considerable harm by preventing clients from realizing their full potential. I found the culprit! Does your TVA even fire? In fact, below is a video we made a while back that perfectly exemplifies this type of trainer. The pathetically lazy trainer loves to sit around. These types of trainers don’t demonstrate form prior to prescribing a movement, they don’t properly explain and demonstrate cues prior to uttering them, they’re complacent with poor form, they don’t count reps or log client workouts into training journals, they don’t get excited, show emotion, motivate, and encourage clients, they don’t personalize programs to the individual – they reuse the same programs on everyone regardless of differences in fitness levels and goals, they don’t consider progressions and periodization strategies to spark continuous gains and prevent boredom and stagnation, they don’t autoregulate the training sessions and make important adjustments on the fly, and quite frankly they don’t care very much about the clients or their results (they just want to get paid). A proper training session requires a significant amount of energy expenditure out of the trainer. Good trainers work hard on all fronts to provide the best service possible for the client. Hey babe, check out these guns. None of us personal trainers are perfect. I’ll be the first to admit that I’ve made my fair share of mistakes as a trainer, but I’ve gotten better over the years (hopefully you have too). If you are a personal trainer and you are guilty of committing some of these acts, then step it up. Your clients will see better results and you will increase your clientele and ultimately improve your financial disposition. If you are a lifter seeking the help of a personal trainer, be on the lookout for lousy ones. The results that you achieve with the help of a highly competent trainer will be leaps and bounds ahead of what you’d achieve via an inept trainer. Don’t forget the “Talk about myself instead of training you” trainer. That’s always the weirdest thing. I’ve seen a girl make somebody do single-leg leg-presses laying laterally while texting and talking to her client about boyz and stuff. Also, there’s a dude trainer at my gym who just goes on and on about his diet, his dog, his lady problems, his muscles, etc and doesn’t ever write anything his client is doing down. It’s weird. Was excited to read this, great title! Was also excited to notice that I am not any of these trainers! Woohoo 😉 fun article, thanks Brett! Regarding a new client learning a full ROM squat: I have often found the goblet squat to be useful as a teaching aid, but of course it depends on the person and what I see. Our deadlift progression goes KB—>Trap Bar—>Barbell and it works like magic. Your deadlift progression sounds magical indeed! AHAHAHAHAHAHAHA MAMA MIA! FRIK SHOW!!! TOP! I see trainers all the time sitting around bullsh*tting or standing around with their hands in their pockets.i am not a trained fitness instructor but as a former pe teacher and coach I know that you should constantly be correcting form, encouraging and motivating the client. This is an awesome article! I think that you were a lot nicer than you could have been because a few trainer stereotypes were left out. I agree with Geoff, ” the talk about me instead of train you” trainer is a huge problem. I tried to look at myself under these descriptions and I am most closely defined as “The One Way Only Trainer.” Look forward to finding ways to broaden my horizon though. Thank you for these posts that help trainers refine their craft by examining themselves. It’s great getting this advice from someone who has been there and is trying to make everyone better. I have that tendency too…. believing strongly in certain exercises makes me a little less open minded than I should be. Good reminder. This post made me laugh so bad. Since, I started to train people for a living. I bump into this kind of trainer so often that I was wondering what motivates them to act in such uneducated ways. I finally get my answers. The challenge is not to fall into traps and be part of them. Rather than signing clients, I prefer prioritize quality with a larger number of attendees and more time for myself to study in order to improve my knowledge of personal training. Thanks for this great article. This article was worth it for the pictures alone, haha. So much awesome stuff as usual. Loved reading this. This reminds me of crossfit “coaches” and their attitudes. The sad reality is that some trainers with these qualities are making a ton of cash. It really makes me shake my head when I lift at a commercial gym and see members spending 80-100$ a session on horrible training. Unfortunately, the general public doesn’t have a whole lot of knowledge in regards to effective training protocols. Pretty funny read though………. Bret you have such great insight and the way you present your information allows for intelligent discourse. As a former manager, my most feared trainers were the body building, go heavy go hard or go home and the I know everything trainers!! I love to learn and every time I learn from you, Brett Jones, Gray, among countless others, I always feel I need to know more.. Thank you for a great article and for making the bridge hip thrust cool for men! I love the trainers and coaches that feel the need to remind everybody here that “they’re glad they don’t fall into any of the categories” you listed, which would be the same as: “trainers that talk about themselves”. “Worst Personal Trainer” made me anxious just to watch it. Great tips, probably many crap trainers will lose clients after this post. Thanks! I like the ‘No regressions trainer’ section. I am sick of seeing pictures of people squatting full depth and then a caption saying ‘ if you can’t go ATG then don’t bother’ and all other nonsense. The people who need our help are the people who cannot automatically press, squat or dead-lift their bodyweight and who need to build strength and flexibility. I feel better for giving my clients regressions now that you have written this. I just got a new personal trainer and will definitely be watching out for these things! The video was hilarious! I LOVED this video. Thank you so so much. This is a great summation of common trainer’s flaws that are even worse for the client. I like that it makes a trainer that is focusing on becoming better trainer to be cautious about extremes. Loved the article and the video — the video was hilarious! Really, to put it simplistic terms: a good trainer is a good teacher. “Puking is weakness leaving the body.” Hilarious.